Toggle between Slow motion and normal gameplay with the press of a button! Gives you the voice of the Nanosuit 2 along with a few extras. 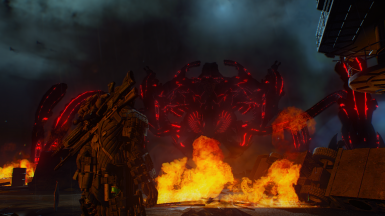 Brings the Aliens from Warhead into Crysis 1 while still retaining the traditional blue ones at the same time. A camp in the middle of the Ecuadorian jungle attracts the attention of the American military. It's up to you to investigate to discover the truth.